Key Difference: Lipids are generic names that are assigned to a group of fat soluble compounds found in the tissues of plants and animals. They make up the building blocks of structure and function of living cells. Fats have become synonymous with lipids, but they are a sub-group of lipids and are known as triglycerides. Fats are the fatty acid esters of glycerol and are the primary energy depots of animals. The energy depots are used for storing energy that may be required by the body during deprivation of food. Fats and lipids are both an important part of the human body. They are the third class of the macronutrients needed in human nutrition. With everyone these days trying to become skinny, these important nutrients have started to become cut down upon, which isn’t always a good thing. These nutrients are important in the body as an energy source, which helps the body perform its daily functions. Lipids are generic names that are assigned to a group of fat soluble compounds found in the tissues of plants and animals. Lipids can be broadly classified as: fats, phospholipids, sphingomyelins, waxes, and sterols. Lipids are a complex molecule with carbon, hydrogen, and oxygen, as well as, nitrogen and sulfur, with other small constituents. Lipids play an important part in formation of the cellular membrane, energy storage, cellular signaling, and other minuscule nutrient functions with relation to vitamins A, D, E and K. They make up the building blocks of structure and function of living cells. Lipids can be broadly defined as hydrophobic or amphiphilic small molecules. 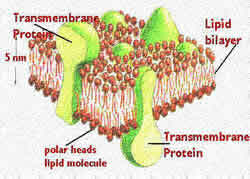 The amphiphilic nature of lipids allows them to form structures such as vesicles, liposomes, or membranes in an aqueous environment. Biological lipids originate from two types of ‘building-blocks’ known as ketoacyl and isoprene groups. Lipids can be divided into eight categories: fatty acids, glycerolipids, glycerophospholipids, sphingolipids, saccharolipids, and polyketides; and sterol lipids and prenol lipids. Most common lipids are found in food in the form of triacyglycerol, cholesterol, and phospholipids and play an important part in having a good health. Withdrawal of lipids can cause the body and weaken and person to fall sick. Fats have become synonymous with lipids, but they are a sub-group of lipids and are known as triglycerides. Fats are the fatty acid esters of glycerol and are the primary energy depots of animals. The energy depots are used for storing energy that may be required by the body during deprivation of food. Fats are generally soluble in organic solvents and insoluble in water. Fats can be found in solid state as well as liquid state at room temperature; solid state is known as fats, while liquid state is referred to fat at liquid state. The term ‘lipid’ is used to refer to fat at both liquid and solid state, in a medical or biochemical context. Fats differ from some lipids in chemical structure and in physical properties and play an important part in chemical and metabolic functions. Fats and lipids are broken down in a human body by enzymes called lipases, which are produced in the pancreas. Human bodies also have an adipose tissue, which is known as a fat depot and is a loose connective tissue composed of adipocytes. This tissue is compose of roughly 80% fat and is located beneath the skin, around internal organs, in bone marrow and in breast tissue. The main role of this tissue is to store energy in the form of lipids. An excess of this tissue causes obesity in humans. Fats can be categorized into saturated fats and unsaturated fats. Unsaturated fat can be further divided into cis fats and trans fats. Edible fats include lard, fish oil, butter/ghee, whale blubber, peanut, soya bean, sunflower, sesame, coconut and olive oils, and cocoa butter, and margarine. These fats are healthy in a certain limit, but excess of these can cause a person to have too much fat and become obese. Fats contain more saturated fatty acids , while the oil contains unsaturated fatty acids that much more . Since the melting point is higher in saturated fat than the fat unsaturated fats tend to be solid , while oil is liquid at room temperature . The melting point ( melting point) is the physical properties of the essential fatty acids . The melting point indicates the temperature at which the fat / oil change phase from solid phase into the liquid phase . The melting point of fatty acids will determine the melting and crystallization properties of fat formulation . The melting point of fatty acids is influenced by the carbon chain length , number of double bonds and cis and trans configurations . Number of Carbon Atoms The melting point of fatty acids will further increase with increasing number of carbon atoms are bonded . In the same number of carbon atoms , the melting point of fatty acids with unsaturated bonds is higher than the unsaturated fatty acids . The number of double bonds The more the number of unsaturated bonds ( double bonds ) then the lower the melting point . For example , the melting point of the fatty acids C 18:0 , C 18:1 , C 18:2 , C 18:3 dam row is as follows 70 ° C , 16 ° C , -5 ° C and -11 ° C .